Working in a legal firm that generates legitimate documents for others can be quite difficult because a small mistake may ruin the entire business, firm, or concerned purpose of the customer. 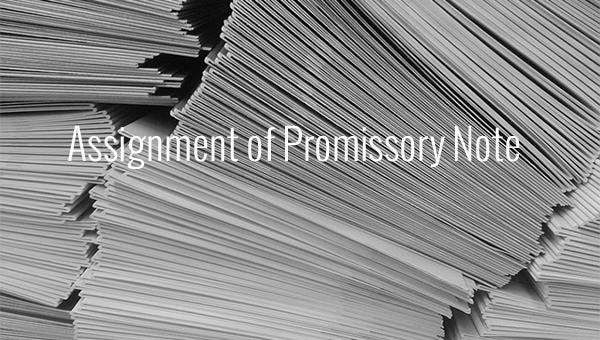 Many a time, you stay busy catering your business requirements and couldn’t get time to make promissory notes that can work as a legal documentation proof. The readymade Assignment of Promissory Note Template available over the web helps you to stay safe from monetary scams and frauds by mentioning every single thing in detail. 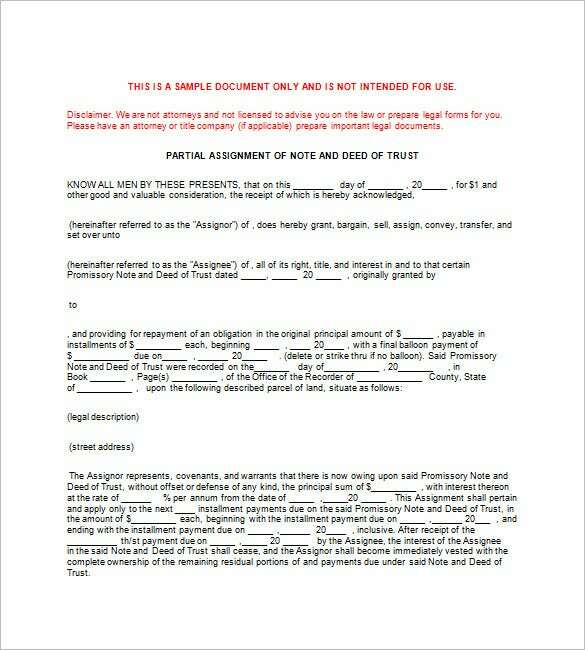 mortgage-investments.com | The Assignment of Promissory Note to Trust is an excellent template that helps you to maintain a level of security amongst an assignor and the recipient. The template clearly mentions the names of the borrower, amount of note, interest applied, assignor’s warranty, and other details that can be helpful while making an attempt to recover the assets in future. 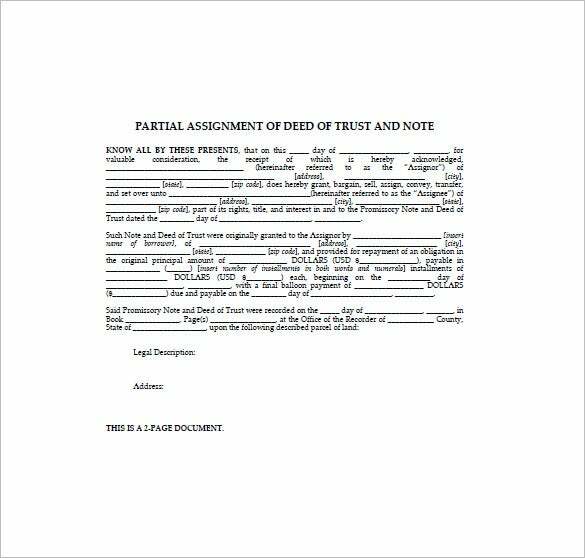 The note templates contain designated spaces to ensure that it must be signed by both parties for making it valid and authentic for legal enquiries. 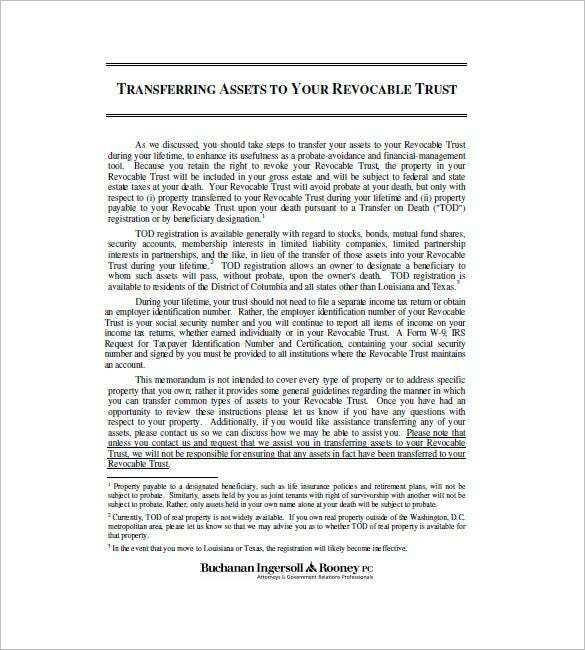 These templates enable you to analyze the assets that can be transferred to your revocable living trust without any conflict. 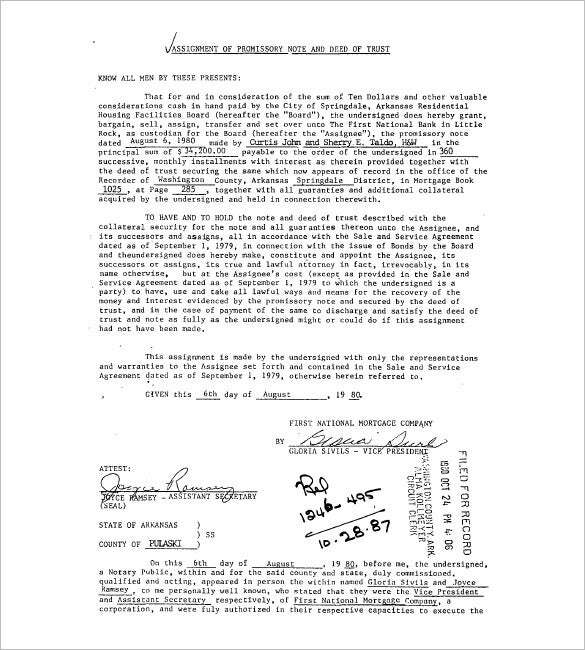 leaplaw.com | The Assignment of Promissory Note Without Recourse is a form of legal documentation that is used by an endorser for a negotiable instrument. The purpose of the template is to ensure that if the payment of the instrument is refused, then the endorser will not be liable for any legal actions or payments. In other terms, you can use this template to signify that if something wrong happens, then either you or your business will not be responsible for making any payments in this regards. 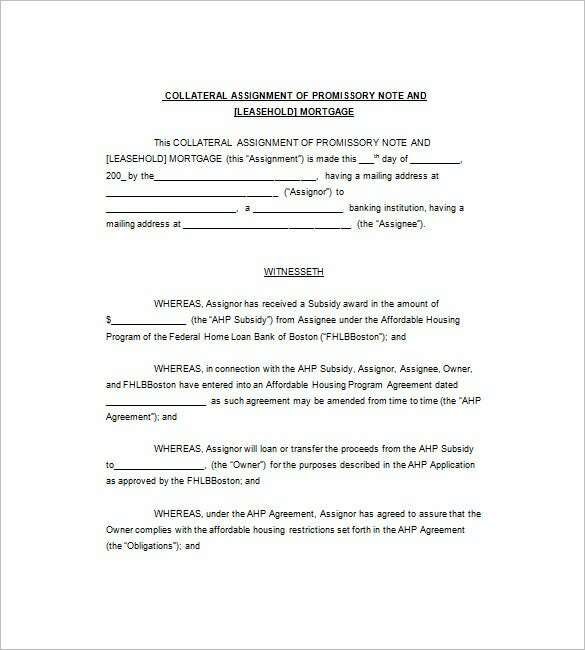 fhlbboston.com | The Collateral Assignment of Promissory Note works as a legal report to authenticate that the attached forms or documents are provided just for illustrative purposes only. These templates are highly customizable and can be modified to meet your specific purposes with great ease and comfort. Using these templates you can easily clarify that your business and its profits is not liable for any payments or losses that may occur in the near future due to unfavorable circumstances. The template incorporates some of the professional terms and conditions that can be set forth in the final document, which will be later handed over to both the parties. Many a time, you may feel frustrated because of unavailability of your legal advisor and staff. These readymade promissory templates can be highly useful for entrepreneurs who deals in businesses related to money lending, assets calculations, mortgage, and other related fields. 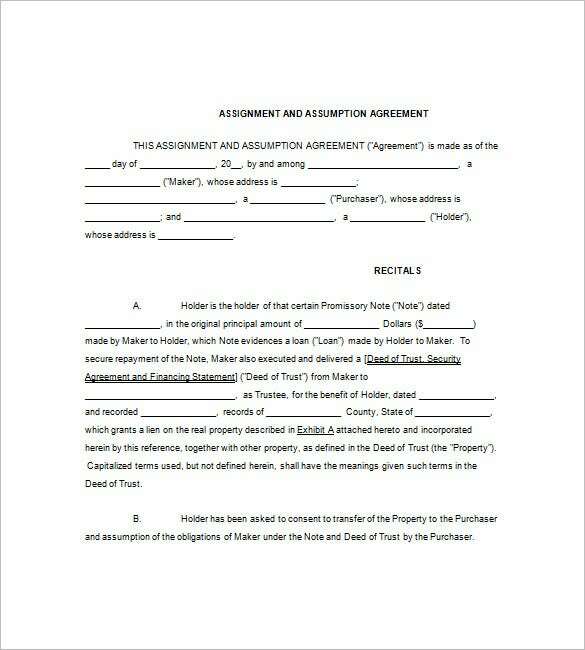 All these templates incorporate various designs, styles, and avoid complicated language to ensure that both the parties understand the exact terms on which the deal is being commenced. These fair and transparent templates enable you to ensure that your money provider is not charging unnecessary interest rates that are not as per industrial norms and practices. All these templates are available in various versions and formats including MS Word, Excel, PDF, and many others. These templates ensure higher transparency and easy mentioning of lending terms and conditions to ensure minimal chaos in near future. 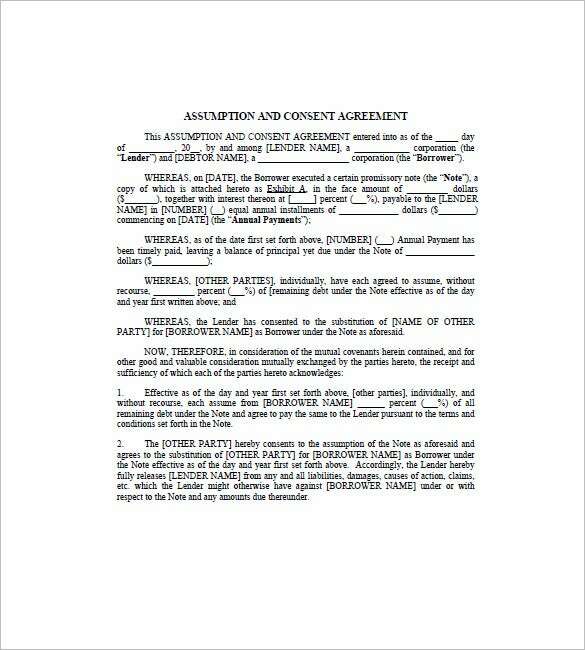 These readymade Assignment of Promissory Note templates signify that both the parties have agreed on terms mentioned in the promissory note and are liable for everything mentioned in the contract. The set of similar templates available on the web is highly useful for people who take loans multiple times from the same lender.